When is it Time to Replace Yourself as the CEO of Your Company? I was recently asked this question by an entrepreneur who had grown his business to a certain point and felt stuck. Someone had suggested to him that perhaps he was not the right guy to take his business to the next level, which made him wonder if he was holding his company back by continuing as the CEO. He wondered if it was time to hire a “professional CEO” to run the business. In my experience, the answer to this question depends on the individual and how hard they are willing to work on themselves. 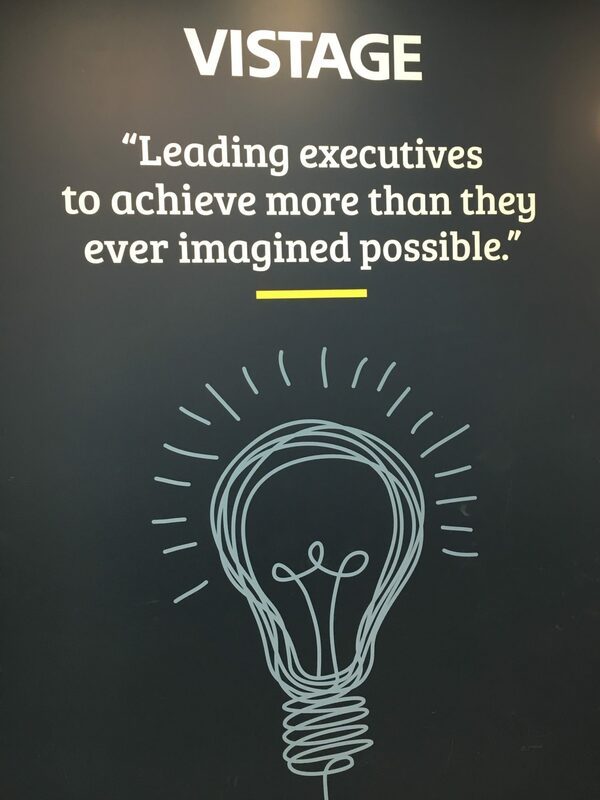 This concept was reinforced by Jim Collins, author of “Good to Great” and “Built to Last” when he spoke at our Vistage ChairWorld conference last week. From his perspective, every entrepreneur has the potential to scale their business as long as they are willing to develop themselves. He cited the example of Steve Jobs, who after being fired by Apple, later returned to Apple as a different type of leader. Collins called him Steve Jobs 2.0, and felt that he was a much better leader the second time around. People who are willing to change and develop themselves are able to accomplish amazing things. The key is the desire to learn and grow. If you are unwilling to change, then go ahead and hire that professional CEO to replace you when you feel stuck. If you are willing to do the hard work involved in creating your version of YOU 2.0, then let’s get started! Those of you who know me are aware that I’ve been a big Tampa Bay Lightning hockey fan for almost 25 years. Sadly, my team lost in game 7 of round 3 of the 2018 playoffs. As I watched the NHL playoffs this year, I realized there are many parallels that can be drawn to good business leadership. 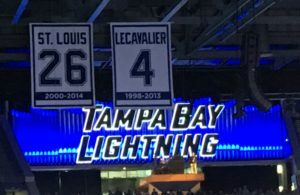 Throughout their playoff run, the Tampa Bay Lightning faced some major adversity. Their ability to overcome setbacks was impressive in the early rounds. In each of the first 2 rounds of the playoffs, the Lightning won because of a total team-effort. When one player had a bad night, another stepped up and elevated their game to ensure a win. All four lines contributed to the effort, from the stars to less-recognized players. They play unselfishly, trusting their teammates to pull them through when times were tough. Can you count on every one of your employees to contribute to your success? Are they working together as a team? Do you have a culture of trust? Or is internal competition limiting your overall success? When the media and others doubted the Lightning, they believed in themselves and pulled together even more. They felt they had something to prove and then went out and proved it. Does your team tend to listen to the naysayers? Or do they believe in themselves even in the face of adversity? When the Lightning fell behind in a game or a series, they did not give up. They sacrificed their bodies to block shots and kept trying until the last second ticked off the clock. That determination and perseverance allowed them to win games they were not expected to win. Are your employees that engaged? Are they willing to sacrifice their own needs for the needs of others? When they played the more physical Boston Bruins, the Bruins used some questionable tactics to distract and upset the Lightning players, including licking the face of a Lightning player. Have your competitors ever tried something that pushed your buttons? How did you react? The Lightning managed their emotions and stuck to their game plan, leading to an eventual series win. The Lightning’s ups and downs continued into round 3 with the Washington Capitals. They had lost 2 games at home before winning the next 2 away games to even the series. After again trading wins, it all came down to game 7. The Capitals did not allow the Lightning to score in that game, eliminating them from the playoffs. As in business, the best strategy can fail if it is not executed properly. How are you ensuring that your strategy is properly executed? Do you debrief with your team when you lose a deal or a customer? Do you regularly monitor KPIs (Key Performance Indicators)? 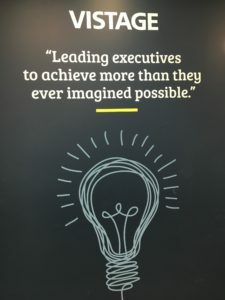 While my team will not achieve their goal of winning the Stanley Cup this year, I am hopeful that some of these leadership lessons from their playoff run will help you achieve your ultimate business goals. Are You an Inspirational Leader? Are you an inspirational leader? Even when times get tough? How you lead your team through challenging times can significantly impact their motivation and potentially the success of your company. Joe hears the news and immediately retreats to his office and shuts the door. He spends the next hour frantically calling his contacts at the customer, trying to ask them to make an introduction to the new owner so he can get back in the door. When that doesn’t work, he sits in his office, completely stressed out, and worried that he may lose the entire business as a result. He stays in his office, afraid to talk to his employees even though he knows they have also likely heard about the lost customer. He waits until all of his employees are gone for the day, then goes home, where he also avoids his family. He does not want to worry them, and he is so stressed that he cannot think clearly. He continues to avoid speaking to his employees for several more days. While he knows that the problem will not go away, he is afraid to tell his employees that he does not have a plan. Which of these two leaders inspires more confidence? If you worked for Sue, you would likely respect her approach, and how she takes charge of the process while seeking input from her management team. She admits her mistakes, and most importantly, expresses confidence in her team’s ability to work together to overcome the challenge. Sue is an inspirational leader. What type of leader are you? Do you have an annual goal-setting process? Or is it your idea of goal-setting to create New Year’s Resolutions which are set and forgotten in a matter of weeks? I encourage everyone to have written, specific goals with target dates. The more clear and specific you are, and the more often you look at your written goals, the higher your chance of success. In my Vistage groups, my members write an annual goal letter to themselves as if it were the end of the upcoming year and they were looking back on the year to congratulate themselves on accomplishing all their goals. This exercise enables the members to visualize their success and to use past-tense wording that helps the brain believe these things were already accomplished. The goal letters are then shared with the other members in the group, so that the group can hold them accountable for their goals. We provide updates to one another regularly through the year to keep those goals top of mind, increasing the likelihood of success. I’ve been writing an annual goal letter to myself for over 20 years and have found it to be an integral part of my annual planning process. When I am crystal clear about what I want to achieve, and when I create milestones toward my goals that are reviewed regularly, I have found that I am much more likely to accomplish those goals. It’s important to be very specific about what you want. If you say you want to “increase” revenues, then specify an amount and a target date. If you say you want to spend “more” time with your family in the coming year, define what you mean. Will you no longer take work home? Will you take weekends off? Will you spend 2 hours each week with each child doing something they want to do? Will you and your significant other have a weekly date night? After many years of working with CEOs and business owners, I have observed that there are 2 different types of reactions at the end of the year when a goal is not very specific. Let’s use a revenue example to illustrate the 2 different reactions. At the beginning of the year, 2 CEOs write a goal that said they want more revenue than the previous year. When both CEOs wrote the goal, they were thinking that a 10% increase would be great. Unfortunately, they did not specify 10% when writing the goal. At the end of the year, one business increased revenue by 15%. That CEO was disappointed because she thought she could have done better. If she had specified 10% at the beginning of the year, she may have been celebrating a great accomplishment with her team rather than feeling disappointed. The other business increased revenue by only 7% and the CEO was bragging about his achievement, when he did not actually achieve his goal. If instead, he had specified a goal of 10%, he likely would have been pushing his team throughout the year to achieve the 10% instead of settling for 7%. It’s not too late to write your annual goal letter and share it with others who can hold you accountable. Please let me know of your success! Are You a Caregiver or a Caretaker? Are you a caregiver or a caretaker? I was a caregiver for a while when my elderly mother became ill and eventually passed away. I had some tough decisions to make, which were emotionally and mentally draining, even though I had outside help. It was important to me to know that my mother was comfortable and in the best situation she could be, where people were there to comfort her and hold her hand when she needed it. It’s hard to be alone and I could only imagine that I would want to have someone there for me who truly cared. There was an amazing volunteer from hospice who would come and relieve me when I was caring for my mother at the end of her life. He had been a hospice volunteer for over 26 years. He had retired and had apparently earned enough that he didn’t need to earn an income any longer. He decided that what he wanted to do was to volunteer with hospice. He spent his days – long days – going from dying person to dying person, providing words of comfort, reading to them and holding their hand. He also gave caregivers a break so they could go take care of themselves for a few hours each day. He was such an amazing man. My mom passed away on a Saturday morning after I had been doing an all-night vigil for 5 days and nights. This man had come every day to stay for a few hours so I could get a shower, run errands, and get some exercise. I knew that my mom was in good hands with him. That Saturday morning when he arrived, he told me he could only stay for about an hour because he had to see 14 patients that day: 14 patients in multiple locations! It was a Saturday and he had already worked a full week. To realize that he was ending his volunteer workweek by visiting 14 different patients at multiple locations was amazing to me. What an incredible, caring person – truly a caregiver! I’ve met some leaders who seem more like caretakers. A caretaker is someone who is employed to take care of a property, a cemetery, etc. They make it look better by planting flowers, pulling weeds, and doing other things to maintain the appearance of the property. Of course, appearances can be deceiving, and the property may be in much worse shape than it looks. Caretakers are usually working with innate objects, while caregivers are usually working with human beings. In your business, are you acting more like a caretaker or a caregiver? 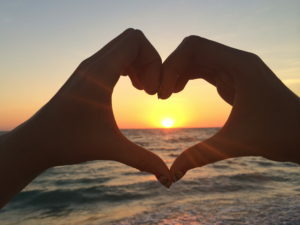 Are you just touching the surface, making things look nice, but never really engaging with the people around you or making a true connection? How much more of an impact could you have by really getting to know your employees and giving them your care and attention? I’d suggest that we’d all be better off if more leaders were true caregivers like my friend at hospice – giving from our hearts. Many of you may have heard about racecar driver Danica Patrick’s reaction to a crash last week. She was understandably upset about being wrecked for the third time in four weeks, however it was her apparent insensitivity to another driver that hit the airwaves. 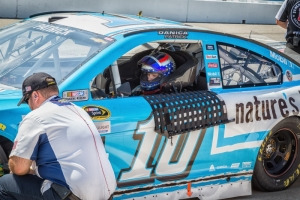 Danica was being interviewed immediately after the crash while Aric Almirola was being cut from his racecar and airlifted to a hospital after suffering broken vertebra in his back, and her initial comments were all about her frustration and bad luck. It took almost two minutes before she expressed concern for Aric. While it’s unlikely anyone believes that Danica would wish harm to a fellow driver, her comments seemed insensitive and self-centered. What can a leader learn from this situation? First, as a leader, it’s important to remember that all eyes are on you. Your employees are always watching you, whether you realize it or not. Some of them will observe your behavior and then emulate you, with the assumption that is how you’d like them to behave as well. Second, if you feel the need to have an emotional outburst, excuse yourself from the situation until you can gain control of yourself. Danica could have said, “No comment”, and waited until later to be interviewed. 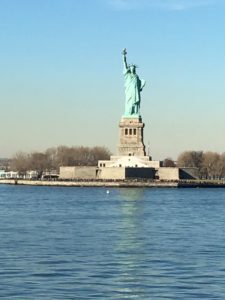 By giving the interview while she was still in “fight or flight” mode, she was unable to access higher levels of emotional intelligence and reasoning. Third, Danica talked about bad luck, and said that “every time I’m doing better, something stupid happens”. How would you respond if your employees complained in that manner? A strong leader should take responsibility and look at the situation as an opportunity to learn something. It’s often the most difficult times that lead to the greatest growth for an individual or a company. Finally, let’s remember that our words and our attitude have a significant impact on our success. If we focus on the negative side of things, we’ll continue to make that our truth. However, if we focus on the potential opportunity to learn and grow, that will soon become our truth. Which type of leader do you want to be? Want to continuously improve as a leader? Want to see more of my blog articles? 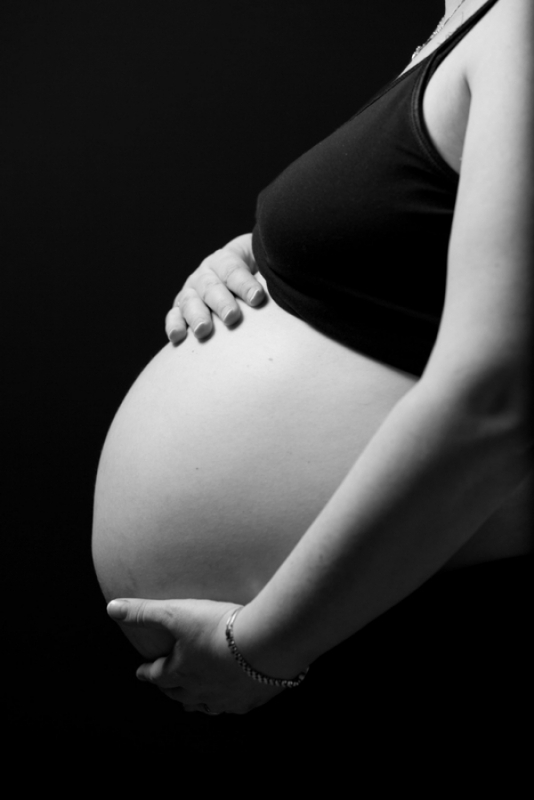 Is Your Large Project Like a Pregnancy? Planned vs. unplanned – Some projects are planned long in advance, while others are last minute due to unanticipated factors. Morning sickness – Early in the project, upheaval and internal rumblings are often present in the organization as people try to get used to dealing with the project in addition to their normal workload. Sometimes these rumblings die down as the project progresses past the first few months. Other times, the rumblings last for most of the project. Preparing the nursery – After the initial hurdles have been overcome, it’s time to focus externally. What impact will the project have on other departments within the organization? Will customers or vendors be impacted? How will you ready them for the upcoming changes? It’s important to be prepared for the project to launch successfully. Feeling the baby kick and the last trimester – The first time the baby kicks, you often feel excited. When the project is closer to completion, excitement starts to build. Then the kicks become more frequent, everything aches, you can’t sleep, and you start to tire of the situation. Additionally, just as I did not realize that pregnancy really lasts 10 months (not 9! ), projects often take longer than expected. You may begin to wonder if this will ever be over. Labor and delivery – “Going live” with your project can often be more painful than expected. Others may warn you about the potential pain, yet it’s hard to comprehend until you experience it for yourself. Launching a project can be a very intense time for all involved. After the baby is born – Once the project has been launched, it may need your close attention and nurturing for a while. Eventually, things settle into a routine. That is, until the terrible twos! St. Patrick’s Day brings up thoughts of shamrocks, pots o’ gold and good luck. Is your business success a matter of luck? Or intentional value-creation? One of the best things you can do to ensure a larger pot o’ gold when you sell your business is to hire the right people. Hiring people just like you may not be as impactful as hiring people with different strengths and skills. If you hire people to do the things you do not enjoy, it is likely that they will also do them better than you could, which allows you to focus on areas where you bring more value. Note that hiring for different strengths and skills does not mean different core values, however. A culture built around consistent and strong core values will attract people with those same core values, and encourage those with different values to find employment elsewhere. As the leader of your business, you should intentionally create the culture in which you want to work, providing your employees with a clear picture of acceptable behaviors that exemplify your core values. Another thing you can do to increase the value of your business is to implement systems and processes so that the business is not dependent on you or just a few people. Having written processes and procedures ensures that you can easily get new employees up to speed and expand your business. A scalable business adds value in the long-term and allows you to take those much-needed vacations in the short-term! It takes more than luck to create a successful business. 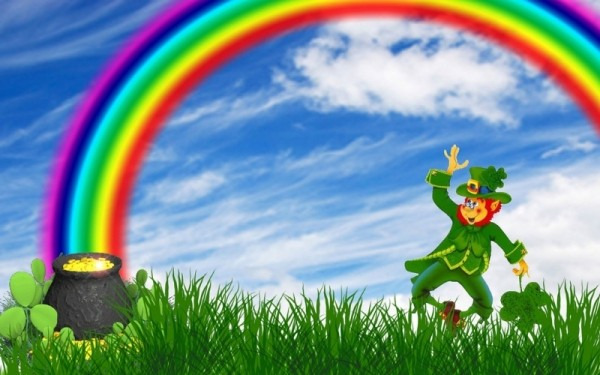 Why don’t you keep that pot o’ gold in mind as you hire the right people with the right core values and create the processes that will enable you to grow? In other words, continue to work ON your business rather than IN your business! Do you find that you are easily distracted? Especially when you are supposed to be working on something that isn’t much fun? I generally do not procrastinate – I’m usually one of the first people to respond to a request or to tackle a big project. I can really get things done when I put my mind to them – if they are things that I enjoy doing. Head down, focused, intense, and determined are all terms that describe me when I am in that “zone”. Then there are those things that I really don’t enjoy doing, such as administrative or repetitive tasks. I have discovered that I not only procrastinate starting on those types of tasks, I also get distracted easily when I finally start to do them. If you have seen the movie “Up”, you’ll know what I mean when I say, “Squirrel!”. Whenever they thought they heard a squirrel, the dogs in the movie would stop whatever they were doing, turn their heads and freeze, saying “Squirrel!”. After a pause, they would continue with what they had been doing previously as if nothing had distracted them. In real life, when our thoughts are interrupted, we are less efficient and effective than we would have been without the disruption. I’ve noticed that sometimes these less enjoyable tasks take me 2-3 times longer than they should have because I have allowed distractions to take me off course. 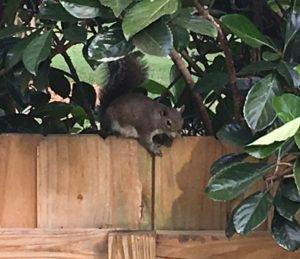 So now when I will be starting a task that I suspect may lead to a “squirrel” distraction, I promise myself a reward if I can get the task done in a focused and timely manner. Awareness is an important first step. After all, I can always chase the squirrels after my work is done! Distant Storm Clouds – Do You Have a Plan? 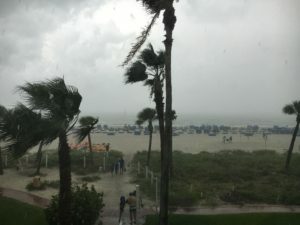 In Florida, storm clouds often rush in when least expected. Heavy downpours occur, strong lightning, wind and rain come – seemingly out of the blue. Could that happen to your business as well? Are storm clouds lurking far away that could appear quickly and significantly disrupt your business? What if you lost 30% of your revenue overnight? In 2004, I had my Vistage group do an exercise where they presented a plan to the group as if they lost 30% of their revenue overnight. Many of the Vistage members pushed back on the scenario, saying it was very unrealistic that would ever happen. However, they begrudgingly did the exercise and created a restructured organizational chart and budget reflecting what their business might look like if they suddenly lost that much revenue. Based on feedback from the group, they fine-tuned their plans to ensure they were feasible. We hoped they would never need to implement those plans. Does your leadership have plans for 70% reduction in revenue? Several years later, the economic downturn occurred, hitting some of those same businesses hard. Several members told me that they wished I had asked them to present a plan for a 50% or 70% reduction in revenue rather than just 30% because that is how significantly their businesses were impacted by the downturn. Thankfully they had a good starting point for the changes they needed to implement since some of the toughest decisions had been identified during the exercise in 2004. What is your backup leadership plan? I feel that it is very important for every business to have a backup plan for what they would do if something significantly impacts the business in a negative way. Those who have a plan can more quickly take action in an objective manner, rather than letting emotion influence their decisions. Those Vistage members who had a plan going into the downturn weathered the storm much better than those who had no plan. And those who took quick action to right-size their business also survived and recovered more quickly once the economy started to pick up again. As we move into 2017 and you prepare your plans for growth, I’d highly suggest that you also consider a backup plan in case any distant storm clouds rush into impact your business. Need to discuss your leadership planning?